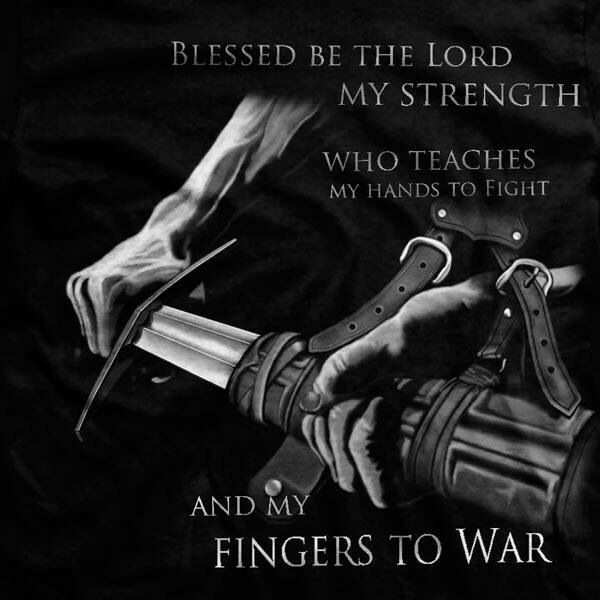 Fellow warriors, I hope that your week is starting off well! It’s already getting busy around here. Today, I’m finishing up edits on REBIRTH. Tomorrow, the proposals go out! I’m also in the process of building my website and setting up a newsletter, so keep an eye out for that. Setting the tone for the week. Every week, we will have a different theme here on Guts on the Page. The theme will connect to the book I’m reading and reviewing for the week. Also, we’ll have discussion posts and lots of fun stuff as well. 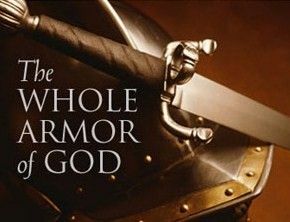 This week, I’m starting a new series of posts, focused on the Armor of God. Before any warrior goes into battle, one of the first things they put on is their helmet. Through the ages, helmets have been made from a variety of mediums (more on that in our Fight Friday post). Whether some sort of metal, or reinforced leather, the purpose of a helmet, as we know, is to protect the brain. Above all else, the head needs to be shielded. When a warrior loses their helmet, the head is left vulnerable, making it a prime target for the enemy. And that is the first place a smart enemy will attack. 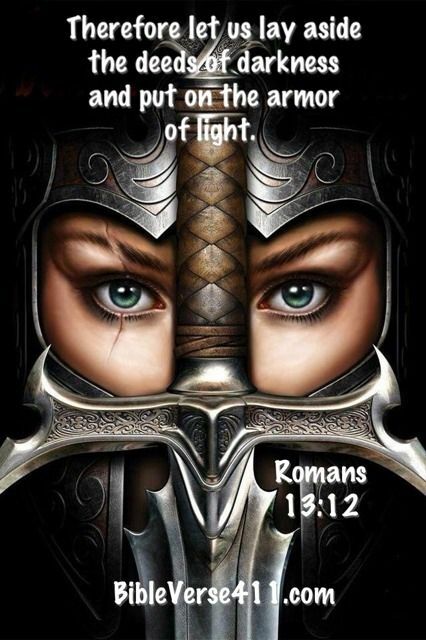 In my opinion, it is no coincidence that the helmet of salvation and the sword of the Spirit are listed in the same verse. As with each piece of armor, they work in tandem to protect, but these two more than any others. More on that in a moment. First, let’s get a better look at the battlefield, so we know what we’re up against and why this armor is necessary. Our thoughts guide our actions, our choices, our words, even our moods. If not brought under control, they can destroy us, maybe even physically. There has been much research done to support the idea that we have at least a modicum of control over our physical health, simply by using the power of our minds. The strength of the mind to affect our bodies and our lives is no secret. I’m sure we’ve all heard at least one of the phrases “Speak it into existence”, “Name it and claim it”, or “Think yourself well”. A well-known quote that illustrates the power of the mind comes from Descartes. Cogito ergo sum, or, I think, therefore I am. With the mind being one of the most powerful things in our human arsenal, it makes sense that this is where the majority of attacks would be focused. Our minds are Satan’s favorite target. If he can get our thoughts under his control, the body and spirit will follow. We are cautioned again and again in Scripture to shield our minds and guard our thoughts. ~ I Corinthians 10:5- Casting down arguments and every high thing that exalts itself against the knowledge of God, bringing every thought into captivity to the obedience of Christ. ~Philippians 4:8- Finally, brethren, whatever things are true, whatever things are noble, whatever things are just, whatever things are pure, whatever things are lovely, whatever things are of good report, if there is any virtue and if there is anything praiseworthy, mediate on these things. Now the question becomes, how do we guard our minds? The first step: putting on our helmet of salvation. Salvation is the one thing God wants most for us. He has provided us a way back to Him, a rescue from the fall. When we are once again grafted into His family, He is able to arm us fully for whatever lies ahead. ~I Thessalonians 5:9- For God did not appoint us to wrath, but to obtain salvation through our Lord Jesus Christ. If you are reading this and you have yet to accept that salvation, I implore you, do it! Simply confess that Jesus is Lord, ask forgiveness for your sins, and ask Him to live in your heart, to guide your thoughts and your steps. You will take heavy fire. Satan will focus even more viciously on your weak points. But with the helmet of salvation strapped on, you have protection against whatever the enemy throws at you. The primary target is secured, your backup is guaranteed. You no longer have to struggle alone, under your own mental strength. Someone is now providing cover fire. Once you’ve donned the helmet, you have to maintain it. This does not mean it won’t receive hits, get a few dings, or feel like it’s slipping off your head. No one is perfect. Romans tells us that all have sinned and fallen short of the glory of God. You will still have weak moments, and flashy decoys will attempt to sway your focus toward them. So, how do we keep this helmet on, keep it in top condition, and prepare for these attacks? 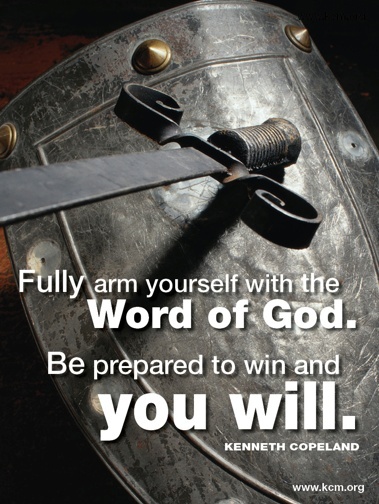 That’s where the word of God, the sword of the Spirit, comes in. You must have this to maintain every other piece of equipment, especially your helmet. When you take the words in to yourself, meditate on them, and live them, you are fortifying your armor and keeping it in shape for battle. When your mind is full of the word, it becomes more difficult for the enemy to breach the gates. We all have those less than stellar moments. The times when our thoughts wonder into dark territory, places they should never go. With all the chaos and temptation around us, it would be so easy to let our minds go and get caught up in the excitement. Or, when our battle plans are blown to bits, it’s hard not to wallow and let the darkness consume our minds. I’ve been there, much too frequently, as I’m sure many of you have. But when the blackness creeps in, in whatever form, we now have the power through Christ to push back. To send it packing in retreat. All we have to do is pull on our helmets, and fill our minds with His words of strength. We are no longer hostage to the enemy, or our own thoughts. He has released us. He has saved us. If you would like someone to pray with you, whether for salvation or for strength for a particular fight you are facing, share your needs below, or contact me at: AmyMMcNew@att.net. You can also find me on Facebook or Twitter. I would be more than happy to pray with you. If any of you would like to share your battles and victories, feel free to do so below. There is no judgment here. We only seek to build each other up, and celebrate one another’s triumphs. And, as is a pre-battle tradition here at Guts on the Page, I send you off with a song to ponder. Thank you! Hearing that blesses my heart so much. I will join with you in prayer that you will find the strength you need. You have a good evening as well. God bless you! I stumbled onto your article about keeping your head in the game on FB, and I’m thinking these posts are what I needed to hear tonight. I love how you put it “let the darkness consume our minds”. Off to go “pull on my helmet, and fill my mind with His words of strength.” Have a good evening!